Ascension Day School offers a loving, caring, and safe environment for children ages 15 months to 5 years old. Using a Christian curriculum, we help children develop personal and social skills, practice gross and fine motor skills, and learn foundational academic concepts. An extension of the Episcopal Church of the Ascension, our program is nestled in the heart of Lake Highlands and is easily accessible from surrounding Dallas and Richardson neighborhoods. Classes are Monday through Thursday from 9 a.m. to 2:00 p.m. with an Early Risers (8:00-9:00) and Extended Day (2:00-3:45pm) option for parents who need to take advantage of a little longer day. 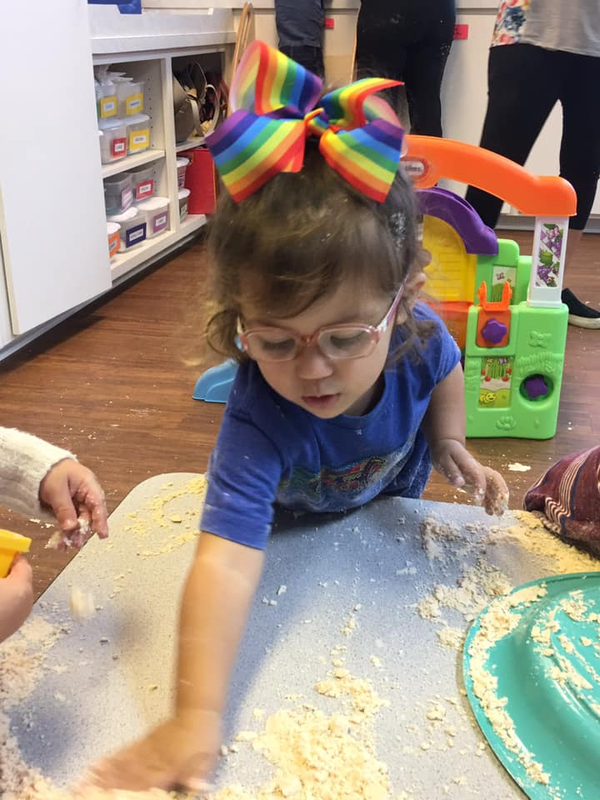 Check out our Facebook page for a closer look at our fun activities and sweet children. Our Chapel classes are based on the Godly Play curriculum. Lessons are designed to draw children into each Bible story and help them discover how the stories relate to their own lives. Each week, Chapel will also include music and movement activities related to each Bible story. We are confident that these new enrichment programs, rooted in faith, will add another layer to our curriculum and the spiritual and physical development of your children. Students will participate in Spanish, Music/Movement, and a Godly Based Science and Nature (for 3's and up) classes weekly depending on the number of days the child is enrolled. In Spanish class, the weekly themes are tied into the lessons. They will also learn, but certainly not limited to, the Spanish words for colors, numbers, parts of the body, fruits & vegetables, and general phrases through music, song, and dancing. The Godly Based Science and Nature class is part of our WEE learn curriculum and is taught by a certified teacher. Science is offered to our 3's and pre-k classes weekly depending on the number of days the child is enrolled. 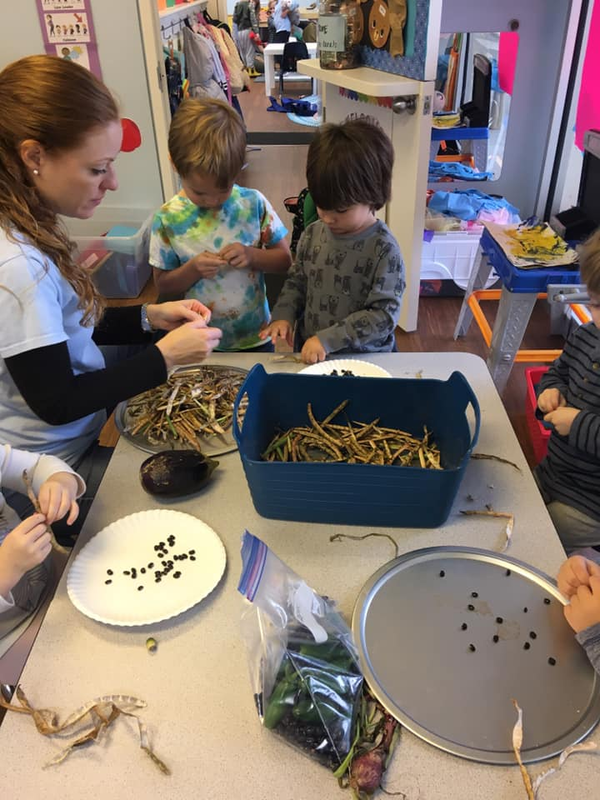 In Science class, the students participate weekly in science experiments, sensory activities, and gardening in our organic garden. Most of the time this class is held outdoors either in the garden or in the courtyard. Ascension Episcopal Church has a 42 plot organic garden on the north side of the campus. Ascension Day School is currently occupying 2 of the plots and the students are in the garden at least once a week. 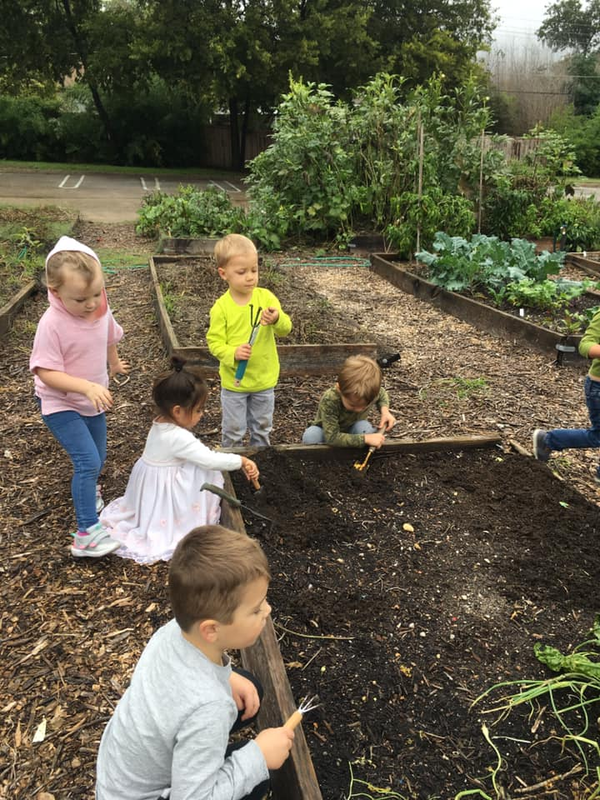 Students that are enrolled for 3 and 4 days a week are in the garden more regularly. We supplement our snack time with our produce and send some produce home to add to their family meals.